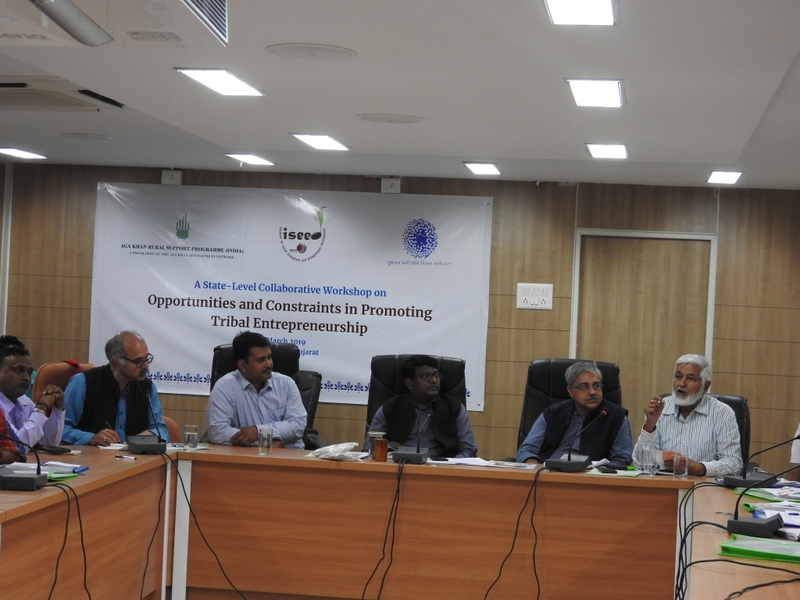 The Incubator for Social Enterprises and Entrepreneurs for Development (ISEED) at IRMA and Aga Khan Rural Support Programme India (AKRSPI) in collaboration with Gujarat Tribal Development Corporation (GTDC) organised a one-day workshop on “Opportunities and Constraints in promoting tribal entrepreneurship” on 2nd March, 2019 at Birsa Munda Bhavan, Ahmedabad. 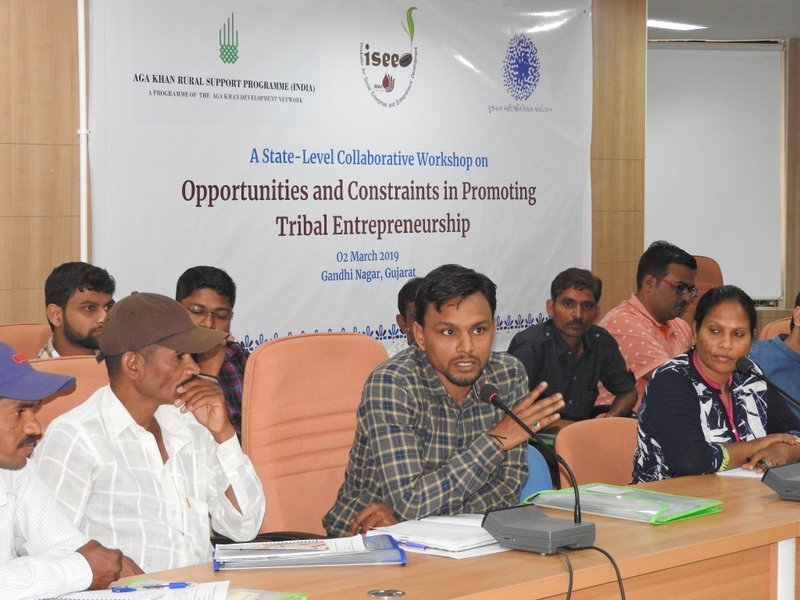 The workshop saw participation from 26 tribal entrepreneurs from Gujarat and Maharashtra. 24 participants were from Dang, Dahod, Chhotaudepur, Narmada, Navsari and Valsad districts Gujarat, who shared their entrepreneurial journeys. 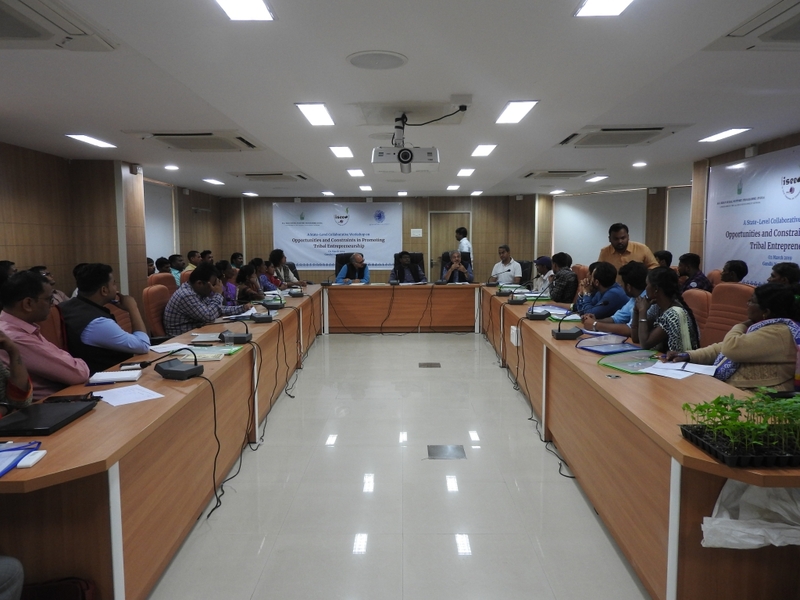 The workshop saw insights from the experiences of ISEED partners; Grassroutes in community based tourism, Shardadevi Gramodyog Utpadak Sahkari Mandali (SGS) in agro-processing and AKRSPI’s own tribal youth initiative. The workshop also saw participation from professionals from non-governmental organizations working in tribal areas of Gujarat. The need for building the tribal ecosystem in a collaborative manner was emphasised by Shri Apoorva Oza, CEO, AKRSPI and Prof C Shambu Prasad, ISEED Coordinator. Mr Suman Ratnam, MD, GTDC shared details of the schemes being implemented for the benefit of tribal entrepreneurs across Gujarat and hoped that such workshops will lead to strengthening of the tribal entrepreneurship ecosystem. 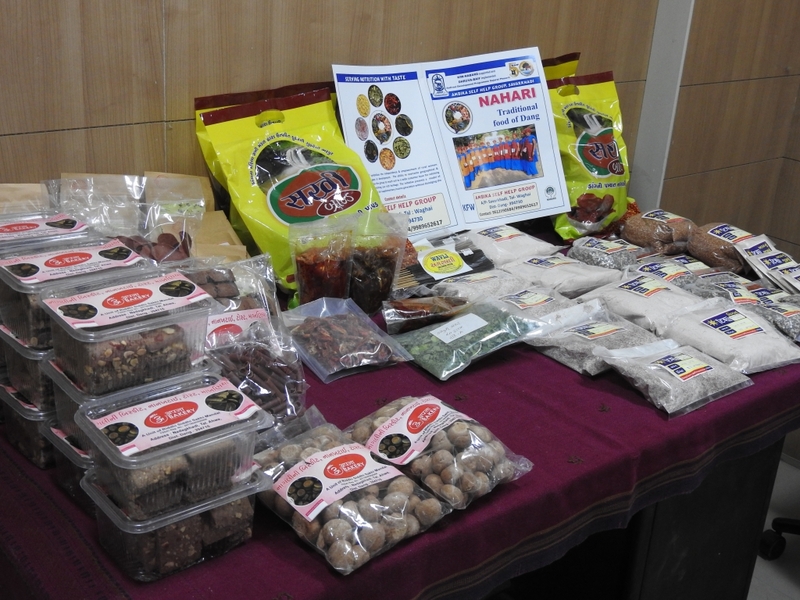 Many entrepreneurs showcased their products at the workshop. ISEED and AKRSP intend on working together on the action points suggested that include ensuring that the schemes of the Government are better accessed by the tribal communities of the state.